Designed by renowned architect Tim Greer from Tonkin Zulaikha Greer, the new 200-seater lounge is the first step in the overhaul of the entire Virgin Australia Brisbane domestic terminal, which will be launched in coming months. Virgin Australia Group Executive Product and Guest Services Martin Daley said the lounge was designed to create a warm and welcoming atmosphere. “We’ve re-designed the space, incorporating a range of different purpose-built spaces, features and furnishings. This allows us to cater to the individual needs of different Guests, whether they are to relax, to refuel or to access business facilities,” he said. Daley said that the new Brisbane lounge was an important part of Virgin Australia’s plan to create a streamlined first-rate travel experience for Guests. “Together with the redesigned interiors of the airline’s Boeing 737 fleet and Airbus A330 aircraft on the Perth route, introduction of Business Class and priority services, the new lounges are helping us change the game in Australian travel and bring the magic back to flying,” he said. The Luke Mangan designed menus on offer in the Brisbane lounge included options for breakfast, lunch and dinner with fresh, quality ingredients. “Guests will have an array of beautifully prepared meals from local produce and a range of all-day snacks to suit all palates and tastes,” Daley said. 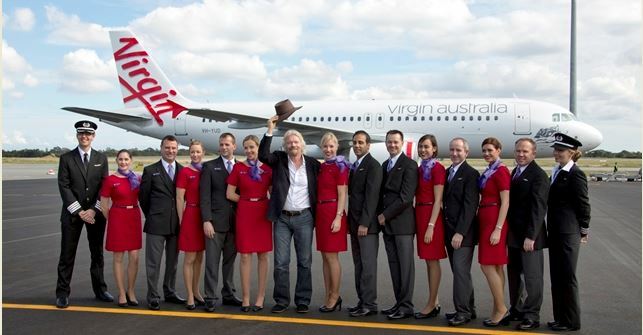 Virgin Australia launched the lounge program in May 2006 and now has six lounges in the Sydney, Melbourne, Brisbane, Canberra, Adelaide and Perth domestic terminals. The lounge in Mackay is expected to open by the end of the year.